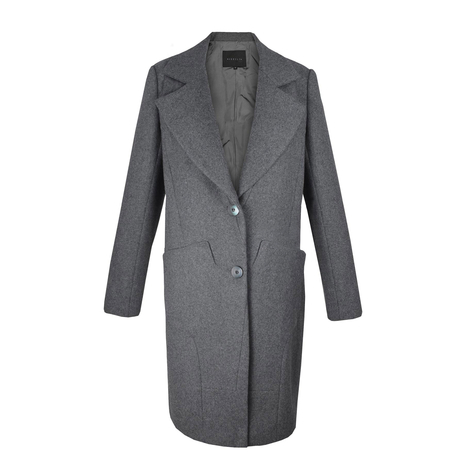 Inspired by petite fashionista Ashley Olsen, this classic wool petite coat features slightly oversized lapels and front pockets. A straight cut with form-fitted tailoring ensures it doesn't drown a petite body frame. The coat cuts off above the knee on petites taller than 5'0; cuts at the knee on 4'10. 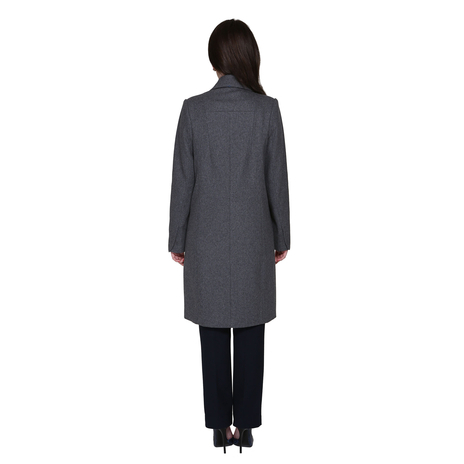 This petite coat cuts off above the knee for petite women taller than 5'0; cuts at the knee on petite women 4'10 in height. Our model is 5'1" and is wearing a size 8. 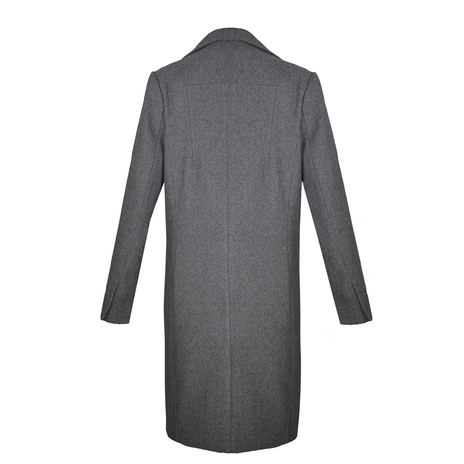 Petite coat length from the highest point of the shoulder to hemline is 89 cm.